AC Electrical Services - Alarms/Security, Electrician based in Leeds, West Yorkshire. A small business with a large reputation http://www.acelectrical-services.co.uk/about-us.php Specialising in REWIRES, FUSE BOARD / CONSUMER UNIT UGRADES, TESTING & INSPECTION / CERTIFICATION. Free quotes. AC Electrical Services is a small family-run business with a large reputation for the highest standards of work. We service domestic, commercial and industrial sectors in West Yorkshire. Our roster of satisfied clients ranges from home owners to local authorities (Redevelopment Schemes), small to medium sized businesses from accountants, solicitors, estate agents, dentists, schools and academies to local churches. We have built an enviable reputation on the strength of our service and our competitive prices, and customers are happy to recommend us again and again. 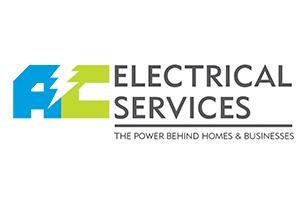 AC Electrical Services was founded by Anthony Catterill in 1997. Anthony started his apprenticeship back in 1986 with NG Bailey which, at the time, was the largest privately owned electrical contractor in Europe. After successfully completing his training, he worked for many years in the commercial and industrial sectors, with a spell at the Ministry of Defence inside the Rock of Gibraltar. He has gained a wide range of experience both in Europe and the UK, spending two years working throughout Spain specialising in the printing industry. Anthony is a highly qualified JIB approved electrician, with a City and Guilds BS 7671 17th edition, City and Guilds 2391 Testing and Inspection and City and Guilds 2399 Solar PV Installation. With over 30 years experience in the industry we deliver a first-class result every time, no matter how large and complex or small and simple the job. We offer free quotes and expert guidance to ensure you get exactly the result you are looking for AC Electrical Services is an NICEIC approved contractor, with all our work guaranteed by a six-year insurance-backed warranty, and we are Part ‘P’ registered. The quality of your electrics and the safety of those around you are our priorities.